Hi friends. 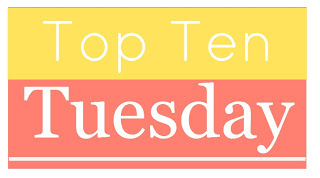 I guess I forgot to preschedule a post for this week’s Top Ten Tuesday (a weekly book meme run by The Broke and the Bookish). I’m currently in Big Sur, where I don’t have Internet good enough to download pictures, but I still wanted to share my top ten summer to-be-read books. So sorry if this looks a little sparse! Please let me know yours in the comments, and/or let me know which I of my books you think I should start with! *Last week I created a poll for blog readers to vote on books I should read this summer. So far there is a four way tie between these books. If you want to help break the tie, vote here. This entry was posted in top ten tuesday and tagged books, Top Ten Tuesday, ttt by Alison Doherty. Bookmark the permalink. TMR TMR TMR TMR. Read it. DO IT. It’s the book that pushed me into starting my blog because I loved it so much that I wanted to tell everyone about it. Plus it’s being made into a movie, so you should read it before you see it. Just read it. Haha. I guess I have to read it now. Your enthusiasm is overwhelming! Haha. I just loved that series. I’ve only heard of a couple of these. I want to read the Shatter Me series too! Such an interesting and unique plot. I hope you enjoy We Were Liars. I just read my first E. Lockhart book two weeks ago and now I am dying to read more. Thanks for commenting! A big fat YES to Isla! I know, right? I can’t wait. I really enjoyed Code Name Verity once I really got into it, but it’s a slow start and it’s not an easy read either. But I think it’s worth it in the end! Thanks for the tip. So many people have been recommending that one to me. I haven’t personally read any of these, but Shatter Me was supposed to be awesome, from what I heard! Interesting. I’ve been meaning to read The Maze Runner for a long time, but haven’t seemed to get around to it yet. It will be my first James Dashner novel. Looks like a great variety! I’ve heard raves for Code Name Verity and I’m dying to read We Were Liars and Isla. Edith Wharton is an author I’ve never read and feel guilty enough about not having read her that I’m going to have to remedy that. Thanks! I definitely recommend reading The Age of Innocence, by Edith Wharton. I read it in a college English class and really enjoyed it! I want to read it before the movie too. I actually haven’t seen the Eragon movie adaptation. From your comment, I’m guessing it might be a good idea to give it a miss. Definitely. It was two hours of my life I will never get back haha!